It is very important to keep the bathroom warm and comfortable like other rooms, especially during winter. 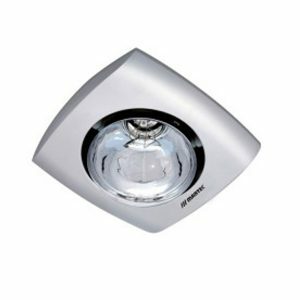 Warm up your bathroom now with our range of bathroom heaters. There are a few ways to make your bathroom warmer with many products designed to raise the overall temperature of the bathroom. 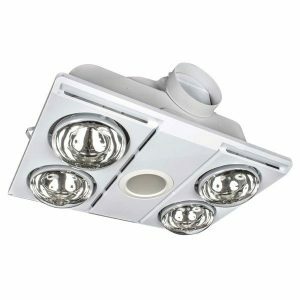 Installing a 3-in-1 exhaust, light and heat ventilation system is the most popular choice in heating a bathroom as all of the functionality is built into one unit. This will draw out the moist air in the room and also provide warmth to heat up the bathroom, along with lighting. We have a wide range of models designed to cater for both small and large bathrooms. 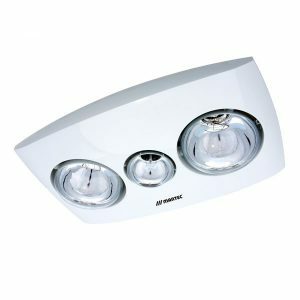 Panel heaters are also another option which can be mounted on the bathroom wall. This is suitable for small bathrooms. With most panel heaters you are able to control the temperature, some also have built in thermostats. Infrared heaters are available in small and compact sizes which can be mounted on the bathroom wall. This type of heater will warm up the room very quickly, perfect for those chilly winter days or rooms which tend to get very cold. The Brilliant Supernova 4 is a high performance exhaust fan with an excellent capacity rate of 500 m3/hr. Allowing the bathroom spaces indoor to clear steam and moisture efficiently. 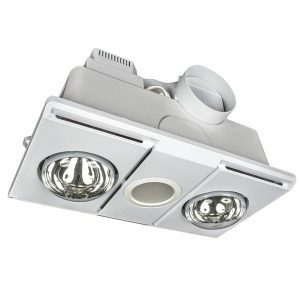 The exhaust fan features 4 x 275w heat lamps and 1 x 14w 4200k LED light located in the middle of the unit. Included is a thermostat switch, which will be prompt if the temperature rises to 90°C and above. 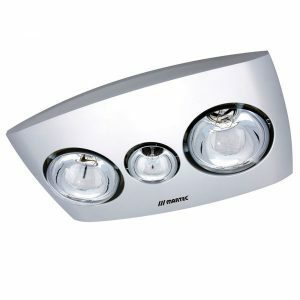 The Martec Contour 1 Exhaust Fan is slimline heat lamp that is suitable for for a multitude of compact bathroom and laundries. 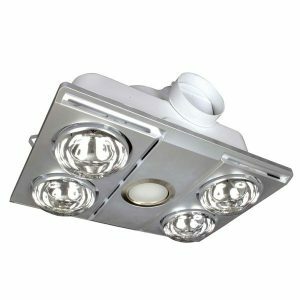 This heat lamp provides instant heat to a space with 1 x 275w infrared heat lamp in the unit. Applicable for placing more than one unit in the setting of your choice to maximum warmth. 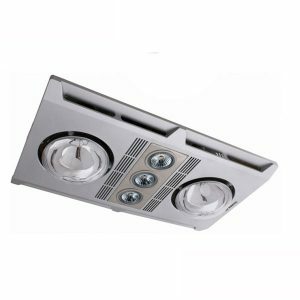 The Martec Contour 2 Exhaust Fan is an efficient slimline bathroom exhaust fan with a 3 gang switch giving control of the heat, light and fan functions independently. 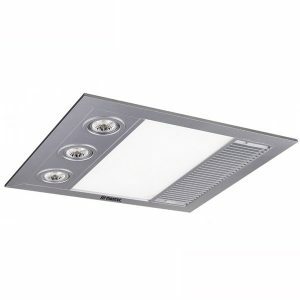 This exhaust fan is suitable for a multitude of bathroom designs and has an extraction rate of 250 m3/hr. 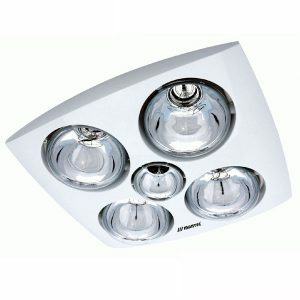 The Martec Contour 2 comes with 2 x 275w infra-red heat globes and 1 x 13w 3000k CFL globe. 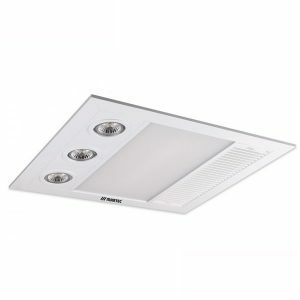 The Martec Contour 4 Exhaust Fan is a slimline bathroom exhaust fan with an extraction rate of 250 m3/hr. It comes complete with 4 x 275w infra-red heat globes and 1 x 13w 3000k CFL globe. It features a 4 gang switch allowing the wall switch to control heat, light and fan components separately. The Martec Linear 4 Exhaust Fan is one of most powerful performing exhaust fans with a extraction rate of 600 m3/hr. 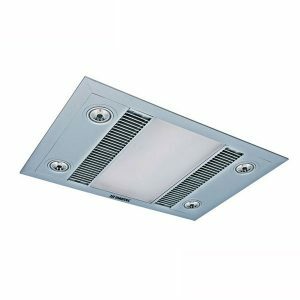 Suitable for bathroom and ensuite spaces, the linear exhaust fan operates quietly with a strong ball bearing motor. 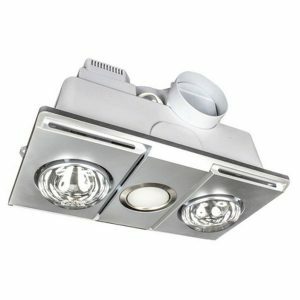 This exhaust fan includes 4 x 9w LED light globes and 1 x 1000w halogen heat lamp featured in the middle of the unit. The modern designed linear exhaust fan comes equipped with a 3 gang switch as the light, heat and exhaust components function separately. The Martec Linear 4 Exhaust Fan is one of most powerful performing exhaust fans with a extraction rate of 480 m3/hr. Suitable for bathroom and ensuite spaces, the linear exhaust fan operates quietly with a strong ball bearing motor. 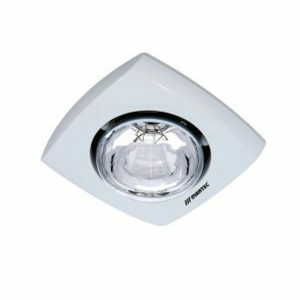 This exhaust fan includes 3 x 9w LED light globes and 1 x 1000w halogen heat lamp featured in the middle of the unit. The modern designed linear exhaust fan comes equipped with a 3 gang switch as the light, heat and exhaust components function separately. 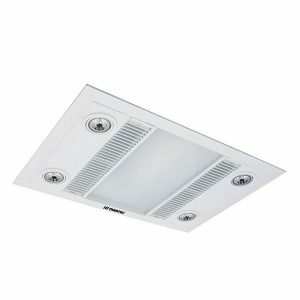 The Martec Profile Plus 2 Exhaust Fan is a high performing exhaust fan suitable for bathroom and ensuite installation. It features a quality ball bearing motor to ensure longevity and reaches a capacity of 460 m3/hr. 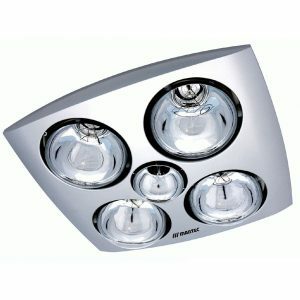 The Profile Plus has 2 x 275w heat lamps and 3 x 3000k warm white LED light globes positioned in the centre of the unit. Included is a wall controller which performs separately the options of using the heat, light and fan independently.